by Elizabeth Esten It’s not an unpopular sentiment that the blockbusters of summer 2016 were incredibly disappointing, especially for comic book and franchise fans. Whether it be the mess that was Suicide Squad or whatever X-Men: Apocalypse was, film fans everywhere looked for some movies that weren’t merely mediocre. Luckily for them, independent cinema came in as the true superhero we all needed. Films like The Lobster, Don’t Think Twice and Swiss Army Man received massive critical acclaim during this period. But one other movie belongs to that group, and that film is John Carney’s Sing Street. Conor Lawler (Ferdia Walsh-Peelo) is a 15-year-old living in Dublin’s inner city in 1985. After his father loses his job, Lawler is sent to a private Catholic school to save money. He eventually comes across Raphina (Lucy Boynton), a 16-year-old who dropped out of school to pursue a modeling career in London with her much older boyfriend. In order to impress her, Lawler forms a rock band with students from his school. Along the way, he finally learns to let go of society’s expectations and embrace his inner rock star. What makes an indie movie great for me is its characters, and this movie is no exception. Walsh-Peelo is incredible as Lawler, especially for his feature film debut. Not known for much prior to this film, Walsh-Peelo is what keeps the film compelling at every turn. Lawler is the heart of the movie and he feels content to blend into the background of his new school, never making a mark or changing the attitudes of those around him. It’s not until he starts his band and forms genuine connections with people his own age (as well as his brother) that Lawler feels inspired to be a unique individual in a sea of average Catholic school boys. His charm makes him easy to root for as he tries to find confidence in himself. The supporting cast is great as well, especially the younger players. Carney set out to cast unknown actors as the leads, which is a huge risk, but it really pays off in the end. The standout of this group is Boynton as Raphina, the lost young woman who fits no mold in such a small, conservative town. She dreams of having more, and she’s very similar to Conor, even if her home life is much less stable than his. Her journey of self-discovery is equally as compelling as Connor’s and the two of them have great chemistry. Boynton gives the character a cool confidence when she needs it, while also displaying vulnerability and fear of what’s to come when she leaves the small town to pursue her dreams. The supporting cast is rounded out by Ben Carolan as the band’s manager, Mark McKenna as the band’s guitarist, and Ian Kenny as the school’s bully in excellent performances. Carolan plays more of the straight man of the band, while McKenna is more of a quiet dreamer whose talent for music is unquestionable. Kenny is a character more mired in cliches than anyone else(being your standard school bully), but he eventually comes around, and we get to see a softer side to his character. Alongside them are veteran actors like Jack Reynor (2015’s Macbeth) and Aidan Gillen (Game of Thrones), who also do excellent work in smaller roles. Like many of the songs, the film’s tone is very optimistic in nature. It gives you the feeling, as an audience member, that the story will wrap up on a happy note and the dreams that Conor and Raphina aspire for will be realized. While some might find this type of movie saccharine in nature, I think it works wonders. In a year like 2016, with so many terrible things happening seemingly all at once, it’s nice to have a feel-good movie that just makes you smile. It also works due to the cast of young unknowns seemingly having a bundle of fun working on the film. Sing Street is easily in the running to be my favorite movie of 2016. With a fantastic cast of unknown actors, the film is entertaining, always keeps you smiling and features outstanding songs that you’ll want to listen to on repeat for days. 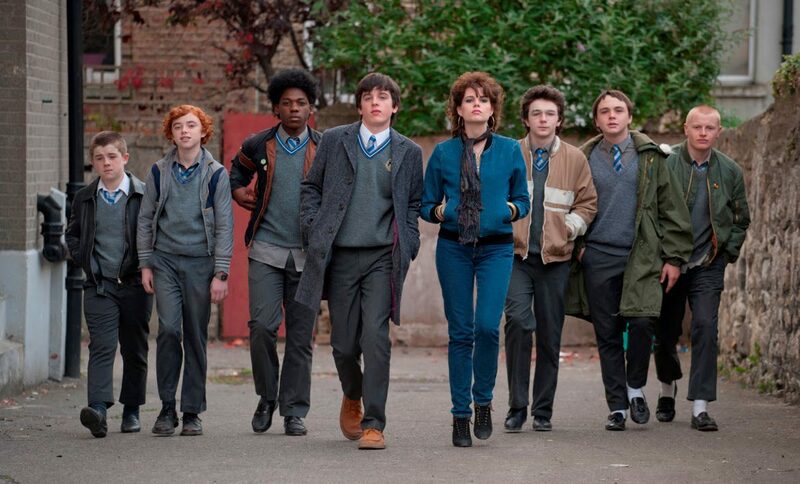 In a sea of mediocre superhero movies and unnecessary sequels, Sing Street shines as a beacon of hope for movie fans everywhere.